My Autism specific back to school checklist. *Note: Two lists follow. One is for younger kids and one is for older kids. There is some repetition in them, as some of the things are the same for all kids. However there are differences too, so even though the lists look similar it is worth reading both if you have kids in both age groups. If your child can wear clothing and shoes of their own choice to school this is easier. My children need to wear a school uniform. Fortunately both the schools my kids attend are reasonably flexible with the choice of pants and shoes, requiring a certain colour, but not a set style or fabric, so we can choose the pants and shoes the kids are comfortable in from a selection at our local stores. Their shirts, however, are set and sourced by the school and have thick seams, logos embroidered in the chest area and are a thick textured fabric. Most kids just see the shirts as a polo shirt and don't have any trouble wearing it, but my kids find them really scratchy, the seams uncomfortable and the back of the logo against their skin downright irritating! We have solved this problem by having singlets and undershirts they have chosen for comfort to wear under the uniform shirt. It is important to resist the temptation to just buy whatever other kids think is cool or trendy. My kids are much more concerned with comfort than what is cool, and there is nothing wrong with that! When it is time to choose a new school bag, pencil case, lunch box and stationery supplies I involve my kids in all the decision making. It is important that kids know they are comfortable using the items like bag and lunch box because fine motor co-ordination can be tricky and if we can eliminate trouble opening and closing things and discomfort wearing bags, that means less sensory irritation and frustration in what is already a full on job of coping at school every day. My daughter really likes everything to be her favourite colour. It is important to her because she likes it that way, and because she can then easily identify which things are hers. It might sound obvious, but it is so important that we include familiar and favourite items in our kids lunch boxes. There is nothing wrong with packing the same lunch every day if you know your child will eat it. Do not expect your child to try something new in their lunch box. There is enough to cope with in a day at school without challenging their taste buds too. For the first term of last year my daughters lunch consisted of the same things every single day. By term two she had noticed some things others were eating that she wanted to try, but we made sure to try them at home first. My daughter also finds it easier to cope in the day if she has a lot of crunchy food to eat- crunching acts as a stress release for her so things like rice crackers, apples and carrot sticks are a staple. You can read about the Safe Hiding Space and tokens here. In summary, the Safe Hiding Space is a predetermined place the child goes to calm down when they are feeling stressed or overwhelmed. The tokens are used as a way to gain permission to go, and to alert the teacher the child is stressed, that does not require the child to speak or explain what they need. Ring the school the day before - ask to know who the teacher will be on the first day - ask to speak to that teacher. For my daughter it is super important that she knows what to expect before she gets to school, and who to expect to be there. I ring the school on the day before she goes while the teachers are there preparing and ask to speak to whoever will be with her on the first day. In our school the class allocations are unfortunately unable to be finalised until a couple of weeks into term as the teacher assignments aren't finalised until a student number census is taken. This means we have to prepare our daughter for the chance her teacher will change, but knowing who she will have on the first day does a lot to help ease her anxiety. I also ask to speak to the teacher and tell them about how my daughter is likely to react hen stressed, some key phrases the teacher can use to make sure she is understood by my daughter and I tell them about the Safe Hiding Space. Arriving early allows your child to look around the room and meet the teacher before there are lots of other people present making noise, moving around and generally providing sensory challenges. It also means your child can find their desk if the teacher has already allocated them, and check where to put their bag and other things. Classrooms and playgrounds (especially playgrounds!) can be tricky to navigate. Things can go wrong very quickly if you have trouble reading social cues and understanding communication. For many Autistic people words become increasingly difficult when things are going wrong. It is important that your childs teacher knows this and is prepared to be patient and allow your child time to process when necessary. Other children, however, may not be able to do this so easily. One way you can help your child is to help them learn key phrases to use when they are struggling to express themselves. My daughter has learned to say "stop it- I don't like it" , "I will tell the teacher" and "I need help". Choose phrases your child understands, make them simple and practice them a lot. Let your childs teacher know what the phrases are so they will be able to recognise when your child is using them they are likely stressed or anxious. As the year goes on your childs teacher will learn your childs "tells" and communication style, and they will develop between them systems that work well in the school setting, but for the first few days or weeks things like this will help both of them as they get to know each other. My children need to wear a school uniform. Fortunately both the schools my kids attend are reasonable flexible with the choice of pants and shoes, requiring a certain colour, but not a set style or fabric, so we can choose the pants and shoes the kids are comfortable in from a selection at our local stores. Their shirts however are set and sourced by the school and have thick seams, logos embroidered in the chest area and are a thick textured fabric. Most kids just see the shirts as a polo shirt and don't have any trouble wearing it, but my kids find them really scratchy, the seams uncomfortable and the back of the logo downright irritating! Sometimes my son says, "you just choose Mum" which is fine, but on some things he wants very specific items, so we buy those. It is important that he knows he is comfortable using the items like bag and lunch box because fine motor co-ordination can be tricky and if we can eliminate trouble opening and closing things and discomfort wearing his bag that means less sensory irritation and frustration for him in what is already a full on day of coping at school every day. My son packs his own lunch these days, but I make sure to ask before I do the shopping what foods he would like and make sure they are available in the cupboard for him to choose from. He eats very little while at school, which used to worry me, but now I realise he is not relaxed enough at school to be able to eat much. It would stress him more if I started insisting he eat a certain amount at school, so I just provide a choice of healthy options that I know he likes for him to take. He eats an enormous afternoon tea when he gets home which is part of his afternoon routine and helps him de-stress once he is home, then is ready for dinner soon after. He also eats quite a large breakfast. At my sons High School they have a system where each grade had their own year advisor who is a point of contact for the kids to go to if anything is wrong. The year advisor keeps an eye on things, gets to know the kids and acts as a support for them in many ways. At my sons school the year advisor is allocated in year 7 and stays with the kids all the way through high school, to the end of Year 12. So, unless she leaves the school, he will have the same person to go to right the way through high school. This is great for him and for me because it means she has come to know him very well and he is comfortable to go to her if he needs help. She and I have developed a positive relationship and I can ring her to chat through things and know that she will raise concerns I have with the relevant staff members and will check on him more frequently if I alert her that he is having a problem with anything. This relationship has been especially valuable since the NSW government removed my sons individual support funding under the ironically named "Every Student Every School" policy. If your school has something similar in place it is a good idea to touch base with your childs year advisor at the beginning of the year for a chat about things such as elective subject selection and allocation, timetabling questions, sport selection (the schools process for this is very difficult for my son to manage), and any friendship issues you are aware of. Don't be hesitant to use the year advisor as a first port of call for all these sort of things- it is their job! If your school does not have something like this, they may have a roll class teacher, Welfare Officer, or an Assistant Principal who can fill this role. Each year I send a one page summary of my sons needs and strengths to the year advisor and she distributes them to my sons subject teachers. I include information like what he might do if he is experiencing sensory overload and explain things like the fact he often won't look teachers in the eye/face but this doesn't mean he is being disrespectful. An example of a letter I sent a few years ago can be found in an old blog post here. My son catches the bus to school. We are lucky to live right next door to the bus stop and that the bus drops him off outside the school without him needing to change busses along the way. Getting to school is not too tricky. My son relies heavily on routine though, so if the bus to come home is running late or the busses at the school arrive out of their usual order this can cause a problem. There have been a couple of times when my son has boarded the wrong bus and not realised until a certain amount of time has passed and he realises he is not in the right place. This is aggravated but he fact that they way he copes with the noise on the bus is to sit with earphones in and to play games on his phone, so he is not really paying attention to his surroundings. We are teaching him he must look up at the bus and check its number before boarding, even if he thinks it is the right bus because it arrived at the right time. We are teaching him he must look out the window periodically and actively check for familiar landmarks. We are teaching him to look for familiar people in the bus- kids that catch the same bus as him regularly- so he can check he is in the right bus. Fortunately, when he has had trouble there have been kids in the community who have watched out for him and I have found out and been able to find him quickly and pick him up. After the first time we began working on this strategy- "If you realise you are in trouble or are where you shouldn't be call mum immediately". The second time it happened he did and stayed calm enough to describe where he was so we could find him and have him home within 10 minutes. For kids who have longer distances to travel and whose trip requires changes of transport or vehicle I recommend doing practice runs with them as many times as necessary for them to be confident to do it alone. The appropriate words and strategies kids need changes as they get older. It sounds silly in a way, but when your child learns their social interactions by rote, you need to be able to anticipate the more grown up words and strategies they'll need in advance and start teaching them. In Primary school things like "I'll tell the teacher" are OK, but by High School will likely just cause more of a problem. This is where the help of a great psychologist has been invaluable to me! We are currently working on responses to teasing and bullying and strategies for general safety and staying out of trouble. Things like "If my friends are doing something I know is wrong (like going out of bounds) I can choose to walk away to a different part of the playground or go to the Library instead" are fairly obvious and not difficult to learn. Ways to deal with bullies can be less intuitive and harder to understand and master, but we are working on it, and he is more confident all the time. So, those are the thing I can think of that we do with our kids to help them with their back to school stress. Each year there are unforeseen hiccups, and we just try to roll with it and create new strategies as needed. I hope these lists have been helpful in some way. As always if any Autistic folks reading this have suggestions of things to add, please let me know! Good Luck Everyone! I hope you and your kids have a great year at school! I've been writing this blog for 2 years now. One of the things I wanted to do when I started blogging was to keep a record of my journey as a parent to Autsitic children. I think it's fair to say that goal has been achieved. I was reading over some old posts the other day, and it became very clear to me that I am in a different place now than I was when I started blogging. And I have changed my mind about some things. 1. I changed my mind about the name of the blog, and renamed it about a year ago. 2. I changed my mind about what I call my kids. I no longer say my kids have ASD or have been diagnosed with Autistic Spectrum Disorder. These days I say my kids are Autistic. This is because I believe Autism is a neurological difference that exists completely within the wide range of what is normal for human beings. I do not believe Autism is a "disorder" or something "wrong" with a person. 3. 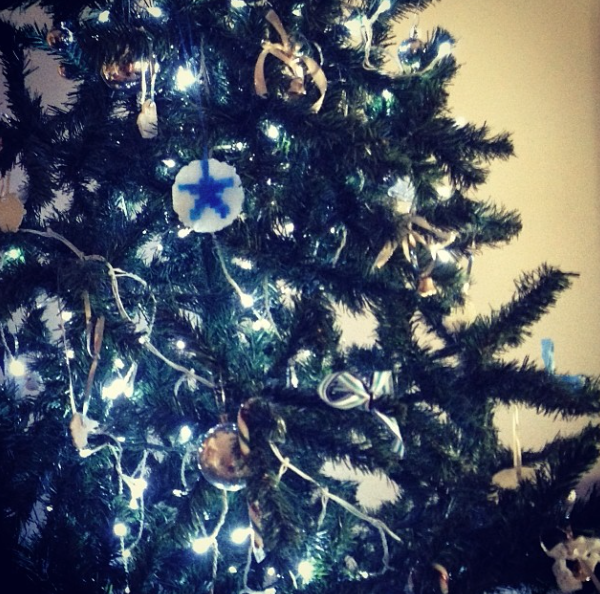 I changed my mind about how I feel about my kids being Autistic. I no longer see Autism as a loss. I am no longer sad that my children are Autistic. I no longer wish they could integrate seamlessly in to society. I love that they are exactly who they are. I would not change anything about them. I no longer buy into the mainstream message that if your kids are not "normal" their lives and yours are "difficult", "tragic" and "heartbreaking". In fact, I try to let people know how happy we are! Life is truly a great adventure- not without tough moments- but a wonderful amazing adventure none the less, and there is beauty in every day. 4. I used to think it was important for my kids to learn to blend in with society. This confession makes me cringe a little. Now I spend my energy attempting to empower them to be themselves and trying to help people understand why it is so important we accept everyone as they are, including making accommodations for minority groups. 5. I changed my mind about how I feel towards parents of "normal" children. I once wrote a post in which I said I feel jealous of them. This confession makes me cringe a LOT. This is no longer true. Back then I was busy feeling sorry for myself and focussing on what was hard about my life. Parenting is hard. Full stop. Parenting Autsitic children is no more or less hard. It's just parenting. You advocate for all your kids. You agonise over all your kids. You feel joy over all your kids too. These days I make an effort to think about all the things I have to be thankful for. Doing that has changed my mindset. For the better. And my children have benefitted from my new perspective. I know my life is no worse than any other parents life is, and my kids know it too. A lot of the reason I have changed my mind on these is things is because I just didn't know some stuff early on in my journey. I didn't realise the implications of some of my attitudes. We all in life are given opportunities to learn and I am grateful to have recognised a great opportunity when it was offered to me. Thanks to some awesome people I have met online since I began blogging, I have learned a lot. 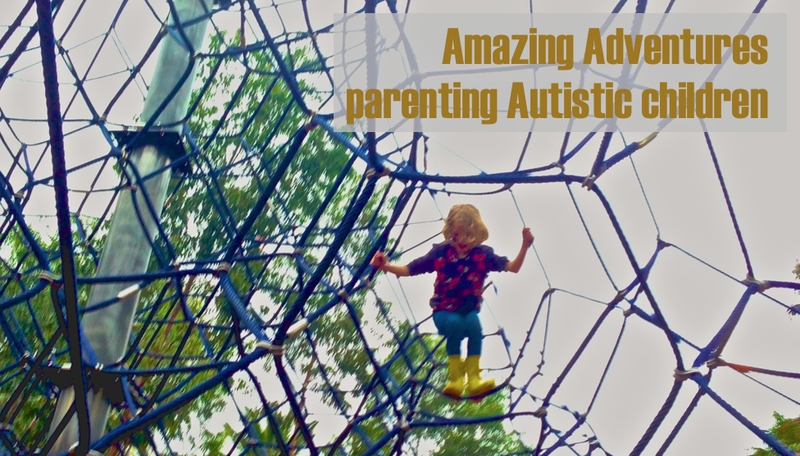 I have been fortunate enough to have some wonderful Autistic adults invest time in helping me understand what life is like for them, and that gives me an insight into my kids I cannot get anywhere else: not from other non-Autistic parents or from professionals who work with Autistic kids. I am so grateful to them for the time they have spent with me. Can I encourage you all to seek out input from Autistic people too? You won't be sorry! You might change your mind on some things too, and change is a good thing when it means we are growing and learning and become better able to support our kids. Holiday season can be really demanding. Lots of events to attend that are noisy, bright and crowded. In Australia, the Christmas season is at the end of our school year, which is also a stressful time as school classes are out of routine, everyone is tired, and the weather is heating up. In the past for us this has meant an increase in stress and overload related meltdowns (and not just for the Autistic family members!) as we all struggle to keep up. Over the years we have learned some strategies in our family, purely by trial and error (my error, usually!) in most cases, that help us all during the holiday season. So this post is all about telling you the strategies we use to manage the challenges of holiday season events, in the hopes that some of the things we find work will be helpful for you too. There is a lot on at this time of year. You do not have to do it all. If an event is something you know you or your child will not enjoy, it can't be adapted to help accommodate yours or your child's needs or if it presents safety concerns- say no and don't go. There is no need to apologise for this to your host or tread softly when telling them what you and your children need to be present and enjoy your time there. Everyone has a right to have their needs met, even if a little more effort is required for some than others. For us, one thing that really helps is to have all the essential activities of the visit over with early on in the event, so that if we need to go we can and we won't have missed out on things. In practical terms for our family this meant that when we went to my parents place for a Christmas celebration we asked to have the main meal served immediately when we arrived and the presents to be opened straight after that. Those two things done early in the visit meant that we were free to go whenever we needed to. A lot of the anxiety my kids feel about going to events is not knowing to expect. If I can tell them what to expect and they know the venue a large part of their stress is removed. It also serves to help me know when I need to be most available to support them because I have advance warning of when things are likely to be loud or busy or otherwise challenging. This needn't be a big deal. A quiet corner in a bedroom is enough, as long as your child will be comfortable there and as long as others know that if your child is there it means they need some time alone and should not be disturbed. Make sure you show your child where it is and tell them they can go there if they need to be alone. Doing this has helped my daughter attend 3 recent events meltdown free, event though they were things she would usually find overwhelming. At one of those there was no room available for a quiet spot, but we took a very small pop up play tent and set it up for her in a quiet-ish corner of her choosing and it was enough- she could go in there and no one could see her and she couldn't see them. She used it a few times through out the evening and avoided becoming overwhelmed by deciding for herself when and for how long she spent time in there. For us, this is often the iPad. Sometimes it is a fidget toy. Very occasionally it is a soft toy or a plastic dinosaur or horse. Whatever works. If your child has an item with them they find soothing and distracting it can help them recanter when they feel stressed. It can also be a good idea to bring some of your childs favourite foods. Trying new food can be stressful, so having something familiar to eat can reduce stress. When my daughter was younger I took her favourite crackers, dip and cheese everywhere with us so she would always have something to eat. We also found that chewing really crunchy foods and sipping through a straw helped relieve anxiety for her. My kids have some definite "tells" that they have had enough. I bet your kids do too. My experience is that if someone has had enough, they become less tolerant, more likely to become rude and difficult to be around. I know I do, and if you are honest, I think you'd say you do too. For an Autistic person "enough" can happen sooner than for a non-Autistic person, simply because of the work they are doing to process the sensory input and social interactions. And that is OK. If you've had enough in a social situation you remove yourself from it, right? So, do that for your kids too. If you can see they've had enough, leave. Take them home, let them relax. If it is impossible to leave immediately, make a plan to leave, tell your child what the plan is and stick to it. Let them stay in their designated quiet place until you can leave if that helps them. Edit: Alyssa left a comment (you can read it below) and made a really good point..... make sure the kids know they can tell you they need to leave. Scroll down to read her full comment. What do you think? Will any of these be helpful for you and your family? I'd love to hear from you if you try these strategies for the first time.... let me know how you go. You can also get in touch to tell me about strategies you already use that help your kids- someone else is bound to find them helpful too.